Designed by Cattelan Italia, Danda Italian Leather Office Chair has a sculpted form with slender base and a curvilinear seating shell. 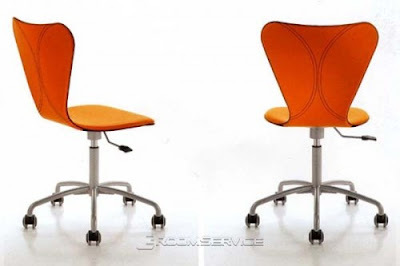 Danda Modern Office Chair has swiveling capacities and mobility convenience of being on wheels. With a silver lacquered metal frame, Danda stands on a star-shaped castor base. Danda’s curvy seat and back is upholstered in top grain genuine Italian thick leather with 29 colors, 4 crocodile and 2 snake stamped colors. Hi, I really appreciate your blog.restaurant chairs Restaurant chairs by designer Lameranti is made from sustainable wood. An elegant and eclectic mix of materials and finishes describe the magnificent assortment of our furniture. We have a massive selection of design tables. they cooperate with top international brands and provide their clients with top advice from their homes through the outdoor Design services.